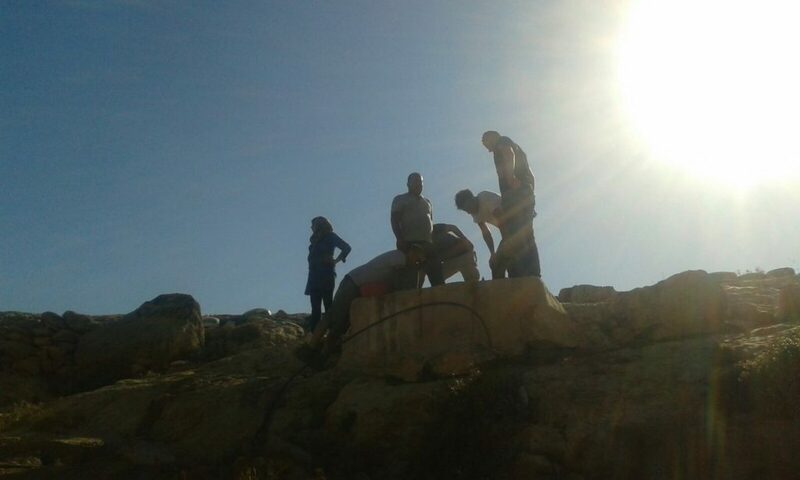 Combatants for Peace launched a 40 day campaign to establish Sumud “Freedom Camp.” Since the establishment of Sumud on May 19, more than 500 Palestinian, Israeli, Jewish and international activists have cleaned and restored the villagers’ caves and built roads linking the village with the neighboring villages, as well as planted agriculture and gardens to maintain a permanent presence on the ground. 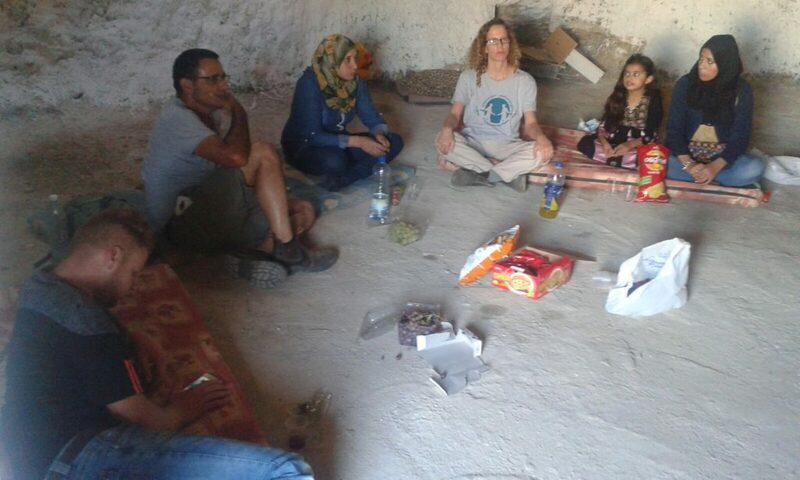 Sumud is an initiative of joint nonviolent resistance to the Israeli occupation. 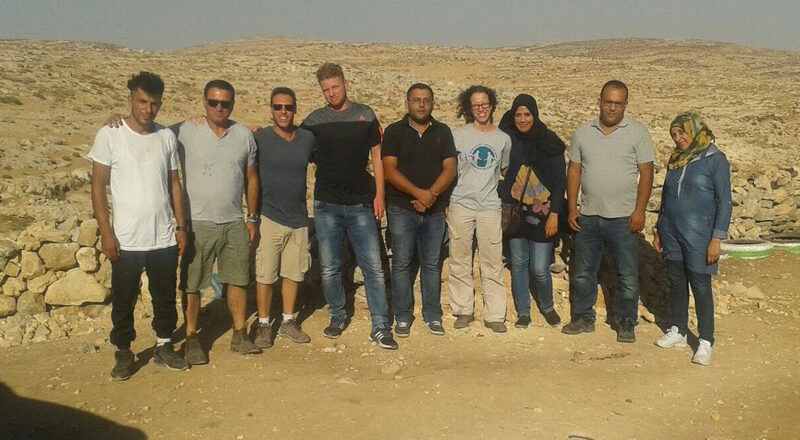 They cleared caves in the South Hebron Hills to make homes for families who had been forced out. Caves were successfully restored and two families returned to the village of Sarura. The coalition consists of: The Popular Resistance Committees in the southern hills of Hebron, Holy Land Trust, Combatants for Peace, all that is left: anti-occupation group, and the Center for Jewish non-violence. The Freedom Camp has been disbanded, but the families have remained behind in their new homes. Combatants for Peace volunteers visit Sumud camp regularly to see how the families are doing and to check if the army or settlers from the nearby illegal outpost have threatened them again. The CfP’s “southern group” (Beersheva-Hebron) is very involved with this initiative since they are geographically close by. 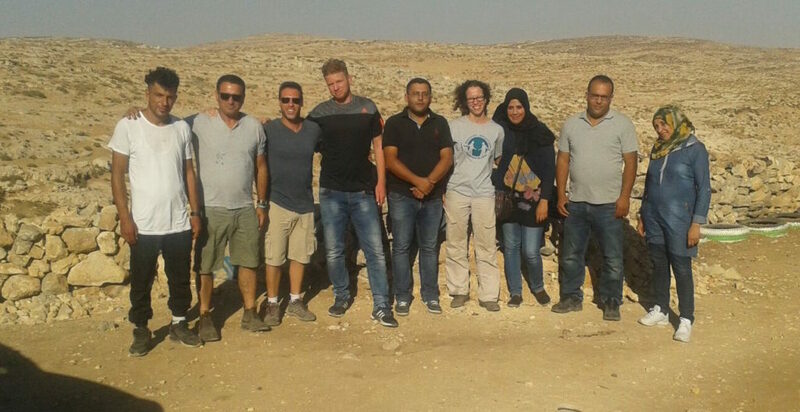 The Sumud support group and returning residents are drawing close, and despite their busy lives, they are learning to build community together. The top two photos below are from Cfp’s southern group meeting in Sarura in the south Hebron hills where the Camp was originally set up. 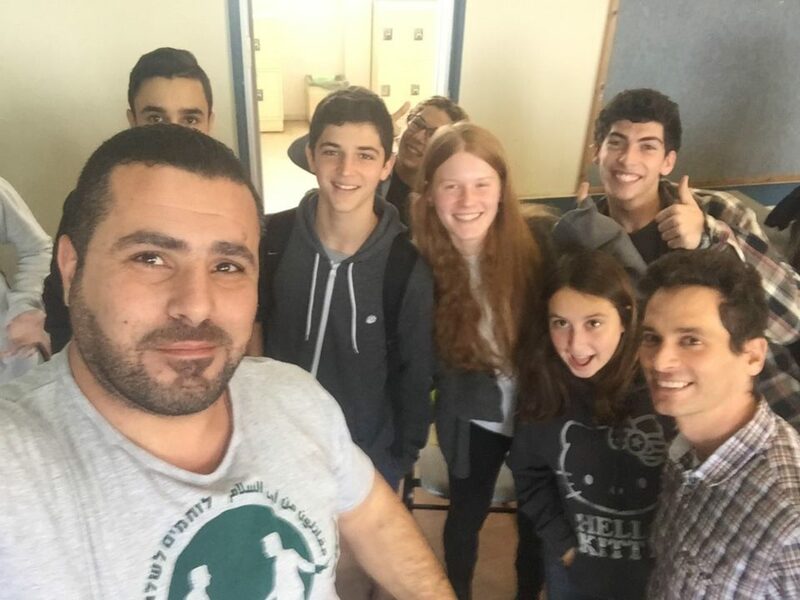 After exchanging their stories of personal transformation from violence to non-violent resistance, from both an Israeli and a Palestinian, they planned their next joint action (an activities day for children and planting of a new olive grove). They then tended the olive trees which had been planted during the 40 day Freedom Camp. The “South Group” (Beersheva-Hebron) isn’t the only Combatants for Peace group restoring homes. The Combatants also have an initiative in the Jordan Valley where they are bringing emergency supplies and shelter to those who’s homes are being systematically destroyed. When the IDF destroys people’s homes, Combatants for Peace comes in with blankets, mattresses and tents for shelter. Their on the ground service work makes a huge difference in the lives of the families they aid. 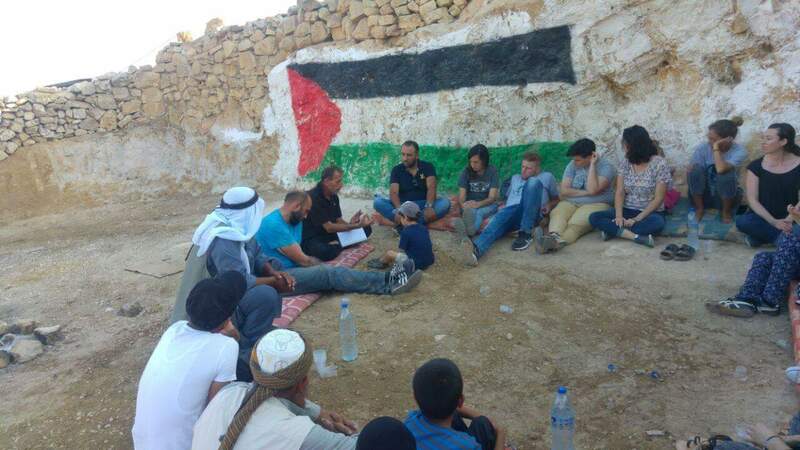 A meeting of the strategic committee of the Sumd: Freedom Camp Coalition in the south of Hebron to establish a plan of rescue and support for the region after the recent attacks by the IDF. Nonviolent activists were arrested in the middle of the night, held and questioned and then release at intervals. Representing Combatants for Peace, Mr. Riad al-Halis.